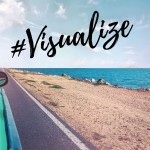 Why Should You Be Using Visualization Techniques? I recently read a study about how visualization was helping weightlifters hoist more weight. The study showed that visualization can help your mind create neural patterns for whatever it is you’re visualizing. Visualization can forge neural connections and make these pathways in your brain. This means that you’re training your body/mind for physical performance even though you’re not taking any physical action! Before you do it, make sure you are in a good mood. Stand up and stretch, go outside, get yourself in a happy place. Next, use all five senses. Smell the court, feel your surroundings, hear the crowd. The closer you can get your mind to the real thing, the higher the odds of future success. Bring emotion into it. This helps to ingrain more neural pathways. Visualization won’t ever replace training and hard work, but mixing the two together could make a pretty big difference.